In just a couple of weeks, around mid-April, we will have an opportunity to see Baltimore and Orchard Orioles as they move through mid-TN. I say move through because we see very few Orioles spending the summer here. 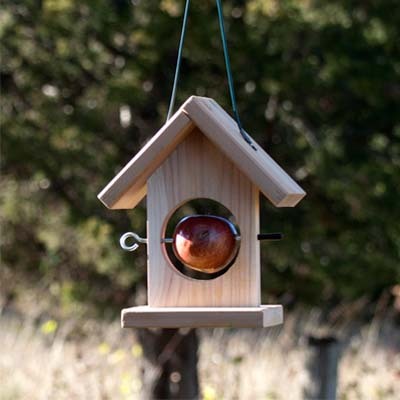 Every spring we are asked by customers if we carry Oriole feeders, and if we can suggest the best ways to attract them. First let’s look at the profiles of these birds. The Baltimore Oriole is a fairly common spring and early fall migrant. They migrate through TN on the way to their breeding destinations, which tend to be north of TN. Some of my bird store associates in Iowa and Ohio do a very strong “Oriole” business because they are in the heart of Oriole breeding territory. 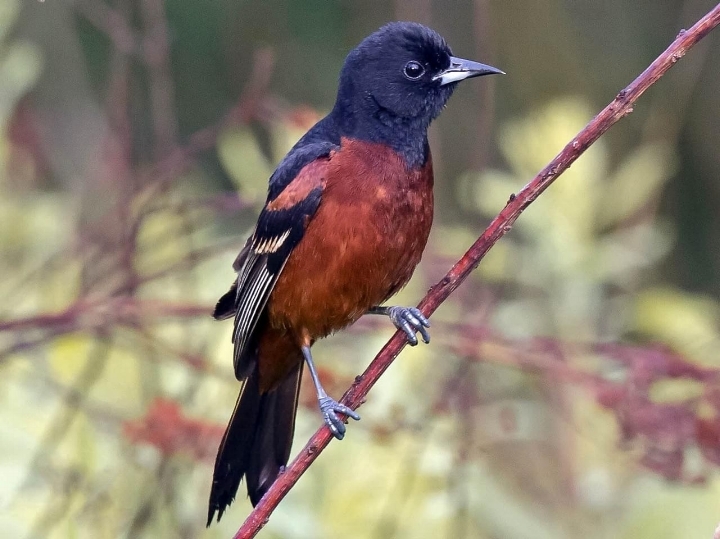 Both species of Oriole are insect, fruit and nectar feeders. The Baltimore is the more familiar of the two and is known for its bold orange and black plumage. Females are olive to brown above and burnt orange-yellow below. White wing bars are very noticeable. Baltimore’s are about 8” in length, are long tailed, and have sharply pointed beaks. The Orchard Oriole is slightly smaller. The male is a rich chestnut color on its underparts and black above. Females are an olive-green above and yellowish below, much like female Tanagers, but have distinguishable white wing bars. Over the course of 25 years I have tried various proven methods of attracting Orioles to my yard with little success. Available information about Orioles suggests orange halves and jelly are the two most common food choices to grab an Orioles attention. None of my attempts with these offerings ever produced results. The years I did attract them I did nothing specific to make it happen. A few times I had multiple male Orioles visiting hummingbird feeders, and other years it has been the moving water source (fountain) that is very popular with all birds. The times they decided to come to hummingbird feeders were likely a result of a lack of natural food sources they would normally be drawn to during their spring travel. Over the course of the few days Orioles were visiting my hummingbird feeders I also presented orange halves in plain view, because that’s what you always see pictures of them feeding on, but they showed no interest and seemed to be content with the sugar water nectar. A simple suet basket is a great feeder because it’s very easy to drop an orange half or bunch of grapes in and hang on a tree or shepherds pole. 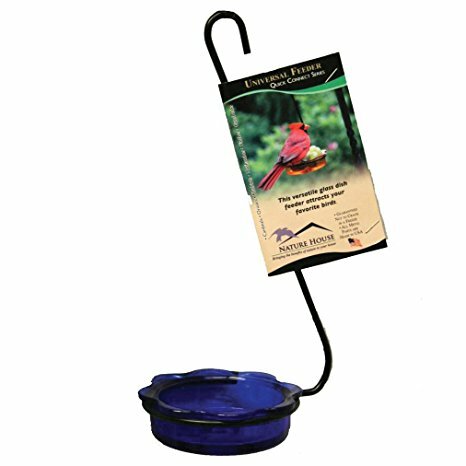 The glass dish type feeders we sell for feeding Bluebirds are also good options for nectar, mealworms, and fruit. We also carry hanging fruit feeders on which the fruit is held with a spike. As for nectar feeders I think the Aspects brand feeders are most suitable and an orange can be impaled on the hanging rod of the feeder for extra appeal. These small dish feeders we stock are great for feeding fruit, nectar, jelly or just about anything. Suet feeders are great for holding fresh fruit such as apple and orange halves and grapes. We offer this simple fruit feeder at the shop that works great for apples and oranges. Aspects feeders are most suitable for orioles. Orange halves can be added to center stem. There is still time to sign up for the spring birdsong workshop with Richard Connors. For more information and dates read our last blog "Spring Migration" for info. Contact Richard at Rconnorsphoto@aol.com to sign up.